Are you ready for Father's Day yet? I don't quite have a gift yet, but I have dessert in the bag. When it comes to celebrating dad's I think of BBQing outside and sitting on the back porch relaxing. 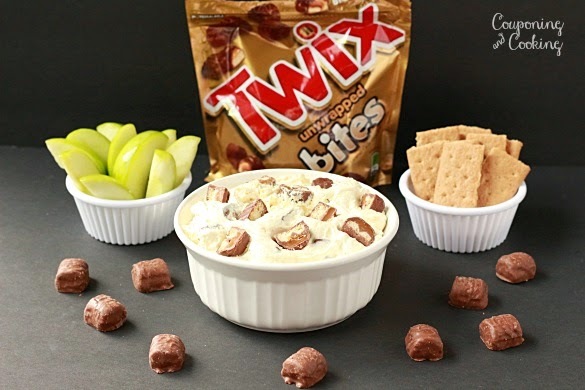 And in the June heat of South Florida, nothing sounds better for dessert at an afternoon BBQ then a cool, refreshing dessert dip made with Mars TWIX Bites and served with fruit and cookies. As far as family celebrations go, I like to keep it simple. Something I can prepare ahead and then just serve when needed is my favorite way to go. 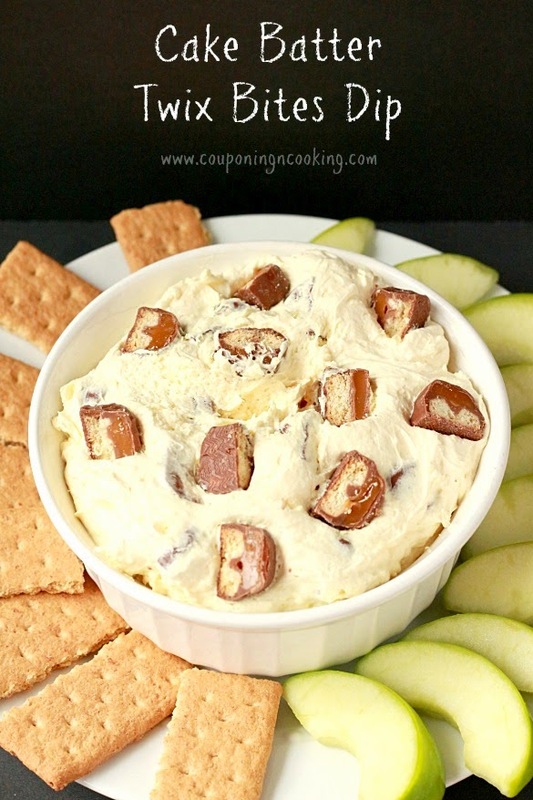 This dessert dip only has three ingredients and you can switch up the flavor or go with lower fat/lower sugar options as you prefer. 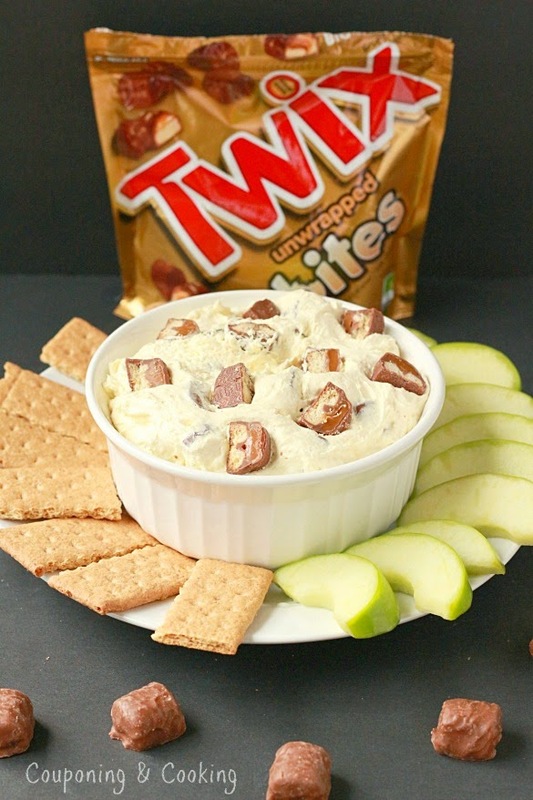 I went with a standard cake batter dip inspired by this TWIX dip I made at Christmas time. 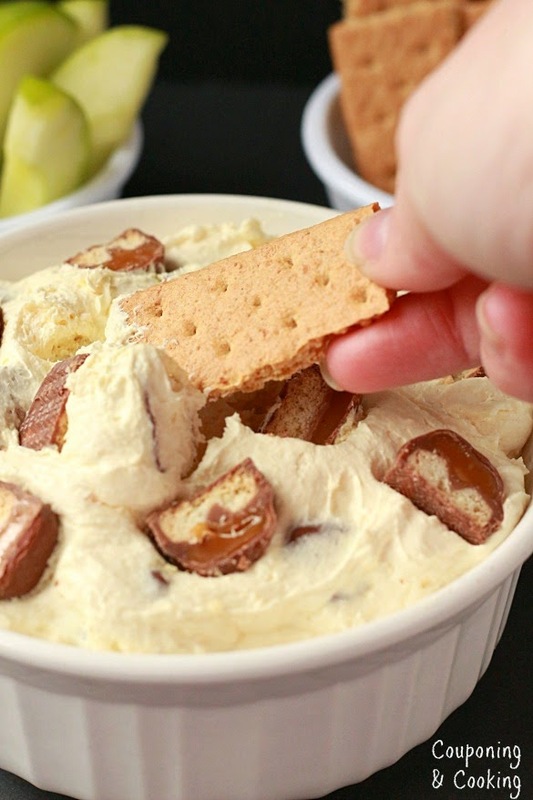 The creamy cake batter is broken up by crunchy, caramely, TWIX Bites for a dessert that you could take a spoon to. Not that I recommend that or would ever do that. But if your dad is anything like my dad, he may do it anyways and use the excuse "Well, it's Father's Day." 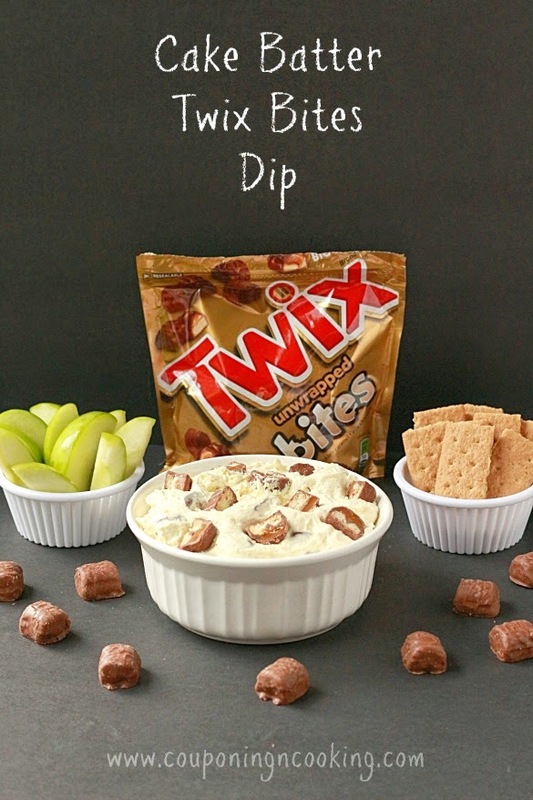 The graham crackers and apple slices were the perfect dipping tools. 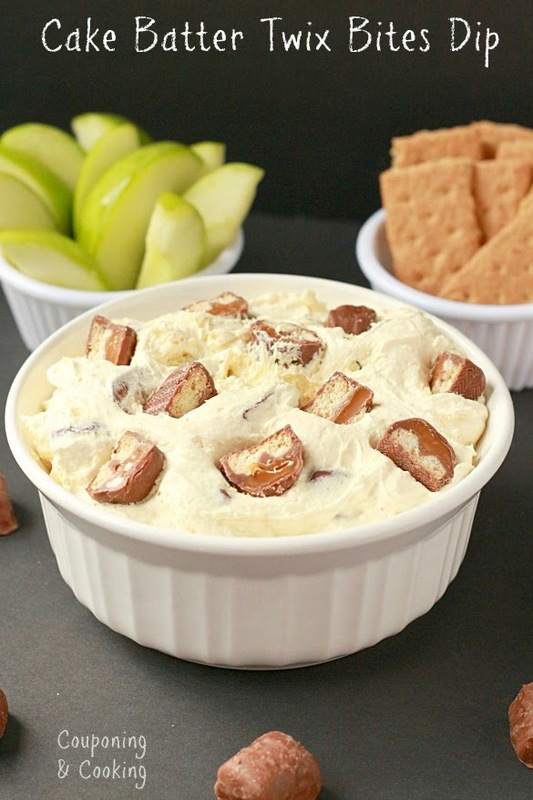 Caramel and apples always go well together and the Granny Smith Apples gave a little tanginess to offset the sweetness of the dip. You can pretty much use any type of cracker, cookie or fruit you have on hand. This would probably even taste good on cardboard. 1.) Beat together the Cool Whip and cake mix until smooth. 2.) Stir in chopped up TWIX Bites. 3.) Refrigerate for at least an hour before serving with graham crackers, apple slices or any other type of cookie or fruit you prefer. Want to save on TWIX Bites and all of the other varieties in the Mars Bites Family? Not only can you get them for a great price regularly at Walmart like I did. Check out the variety of coupons Mars has available right now including one to save $3.00 Off any two (2) MARS Brand Bites, 6oz. or larger. 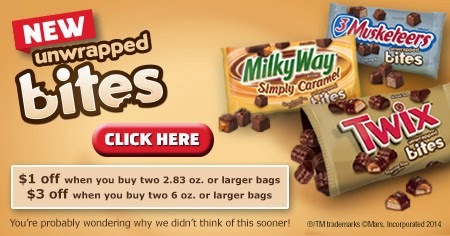 Includes TWIX®, 3 MUSKETEERS®, MILKY WAY® Simply Caramel, MILKY WAY® & SNICKERS®.